This is Matt’s recipe that I just cooked and I’ve transcribed it as thoroughly as possible as it is an eye-bowling-measurements type of recipe he gave me but I wanted proper measurements. It’s delicious with cheese or cured ham or simply by itself on warm bread. In a stew pan, melt the butter on high and add the oil. Pour in the onions. Whisk together so the onions get greasy. Cook for a couple of minutes, then add the cumin and chili pepper flakes. Stir well. 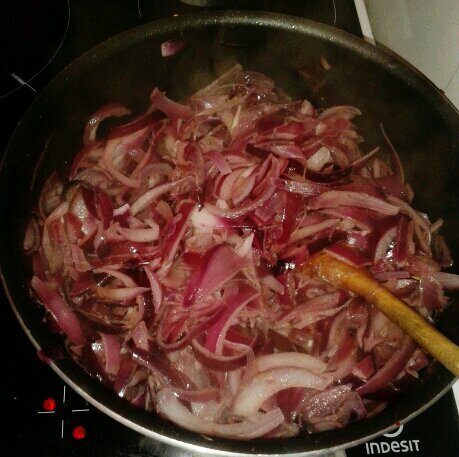 Stir often, until onions are thoroughly cooked. It should take two hours or so: the onions shouldn’t be crunchy anymore and reduced to 1/5 of the uncooked ones. 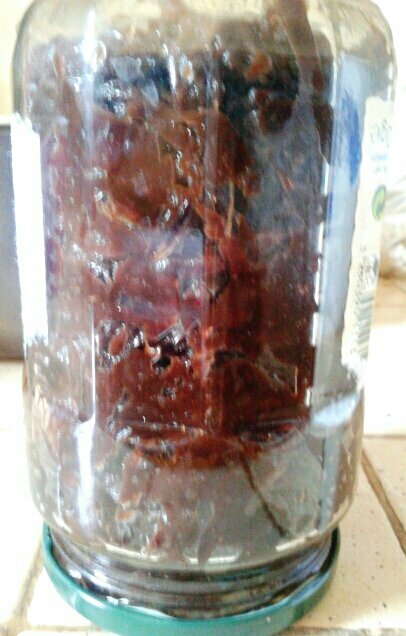 Reduce heat to medium and add wine and vinegar. 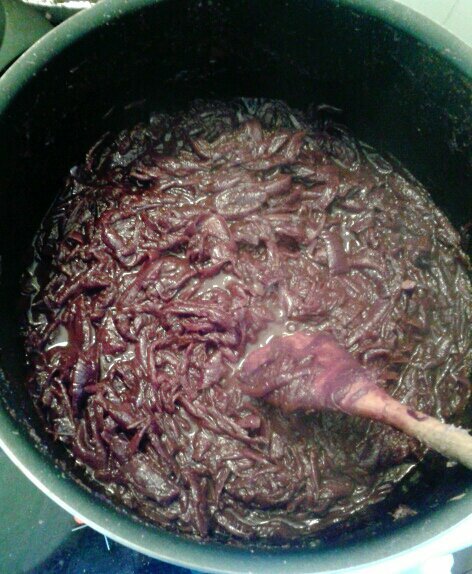 Keep on stirring regularly for another hour or until onions are caramelized. Sterilized your countener for the marmalade by pouring boiling water in them and on the cap. Once the onions have finish to caramelized, pour into the containers, close them and flip them over (so as much air as possible will be out) and wait until cold to store normally.